2014 ends on a high note for real estate in the region. 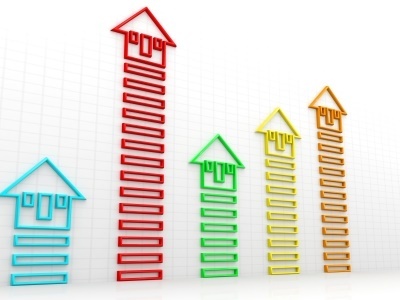 Home sales for the year are up while land sales are down, but the overall market has shown improvement over 2013, according to NAR Report from the Highlands/Cashiers Board of Realtors. Total homes listed in Highlands/Cashiers MLS: 1272 – This is another drop from Dec. This continues to be good news for sellers. Totaled with the previous month, this is 83 less homes on the market. However, the number of homes sold in December was very near the average home sales for the year. As more homes continue to come off market, this increases the opportunities you may have to sell your home now. Contact Rick if you are considering listing your home. Homes Sold: 41 – This is near the yearly average of 42.25 homes/month. While some brokers feel there is nothing to do in the winter months, we continue to market strongly throughout the year, realizing that the sell of your home is not dependent upon the time of year. This is excellent news for sellers. This can also translate into less DOM (Days On Market). DOM: 376 Another substantial drop from previous month. While this is still a relatively long period of time, it does show positives for having your home listed now. Median Sales Price: $270,000 This is not to be confused with the “Average” sales price. Of all the homes sold, this is the price that was in the middle. Average List/Sell Ratio: 89.62 – This is less than 1% decrease of the previous month. However, it does indicate that homes may still be slightly overpriced. Sellers are often confused by Listing Price and/or Tax Assessment. These numbers are not really useful in determining the current value of a home. Sellers should be aware of actual Sold Price as compared to Listing Price. This is where this ratio comes into play. Synopsis: There are some signs of improvement in selling. While this does not indicate a need for a rise in price (in fact the opposite is true) it does show that you may now be closer to being able to sell your home than before. However, this is still a buyers market. Land Units Sold: 19 Previous month was 28 units sold. However, this is still slightly above the average over the year. Total listed in all MLS: 1185. This is 132 less listings than the previous month. However, because of the drop in units sold, this has actually increased the inventory to reflect a more accurate time frame. Average DOM: 395 Sellers should not expect that their properties will move quickly. Average List/Sell Price Ratio: 86.72 This is a slight decrease from November. It continues to show that land is still considered to be overpriced by most buyers. Synopsis: Land is not moving quickly. This is still a great market for buyers. To list what property sold for prior to 2008 or for what it was recently purchased for may not be a reasonable expectation. Some recent land buyers (in the last few years) should not expect to make anything in the sell of their properties. Some of these recent buyers purchased property at auction, based upon tax assessed value. However, tax assessments have not been re-evaluated since 2008, when the market was at its highest. This is still a buyers’ market for land in the Highlands/Cashiers area. Average Days On Market and List to Sell Ratio means that sellers should expect to get lower prices for their land and homes. Buyers are still buying. in the winter months, as has long been shown. Having your home or property off the market means that those looking to buy will only be buying what can be found. Removing a listing at this time may not be to the sellers best interest. Remember, too, that this is a very diversified market region. What’s going on in Highlands may not be what’s happening in Glenville. The same is true for Cashiers, Lake Toxaway and surrounding areas. If you desire a more up-to-date trend on the market area of the Highlands/Cashiers Board of Realtors please feel free to contact me to make a specific report for your area of our MLS (Sapphire, Norton, Glenville, Clear Creek, Breedlove, etc). The following is a few of the best price ranges for sale for 2014 with the number of units sold in each price range. CLICK HERE to contact Rick Creel, Broker.